Don’t believe the comments section; .380 pistols are definitely viable concealed carry guns. If you can shoot accurately, and carry good ammunition, the .380 Auto is more than adequate. Which .380 gun to get, though? If you’ve decided to carry the short 9mm, there are a wealth of pistols on the market. How are you supposed to figure out which are the best for concealed carry? You start with the proven performers, best-sellers and the otherwise best on the market. Here are 6 of just that sort of .380 pistols. Oddly enough, the Glock 42 preceded the Glock 43, which is one of the most popular Glock 9mm guns, which ruffled some feathers in the firearms community. Regardless, the Glock 42 is still one of the most popular .380 pistols on the market today. 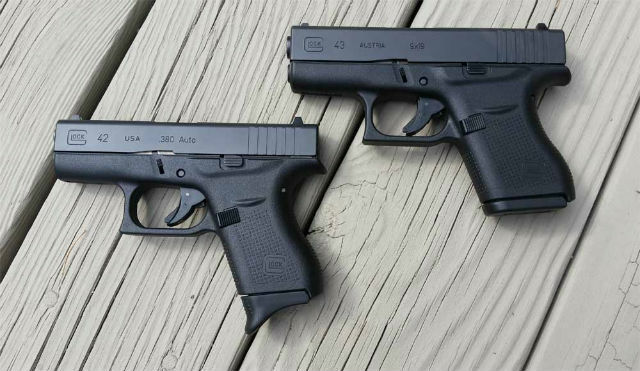 The 42 is even smaller than the 43, but carries 6+1 with the standard flush-fit magazine. However, it’s small dimensions – 4″ tall x 6″ long x 1″ wide – and light weight at 13.76 ounces unloaded, make it incredibly easy to carry and easy to conceal all day, everyday. It also happens to be easier to shoot than many other mouseguns out there, and more accurate to boot. 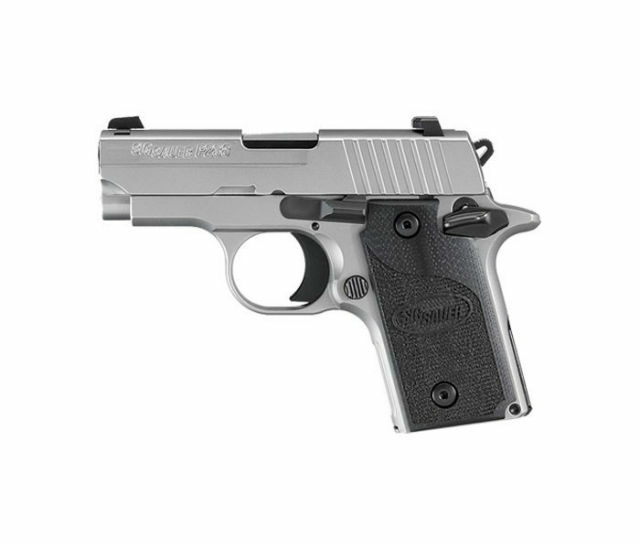 Colt invented the micro 1911 when they created the Mustang, but Sig Sauer arguably perfected it with the Sig P238. Reviewers and owners alike have praised it for being easier on the shooter than many other .380 guns, which has long been the chief complaint about pocket-size guns. The P238 is a tiny single-action semi-auto, meaning it has to be carried with the hammer down over a live round or cocked and locked. Carrying capacity is 6+1 with the flush-fit magazine or 7+1 in an extended version. Sig Sauer likes to give people a bunch of choice of trim level, so you can get the basic blackout version all the way up to their Rose Gold version. 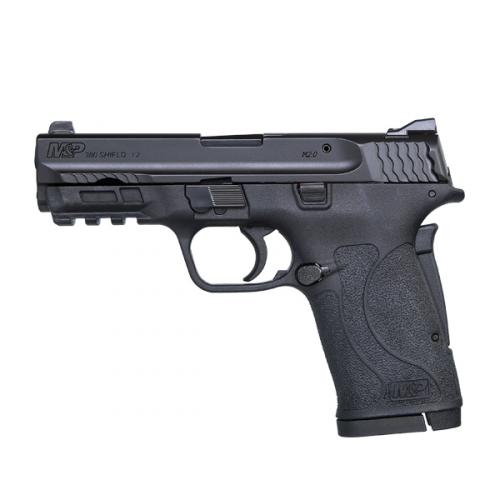 A relative newcomer is the M&P 380 Shield EZ. However, some would argue that the 380 EZ is one of the few pistols that treats the .380 correctly. You see, tiny guns get made in .380 ACP because it’s the biggest small round out there; standard 9mm has too long and wide a case to make really small guns. The problem is the barrel length means you don’t get the best of accuracy. Additionally, the small dimensions and scant weight make the gun less pleasant to shoot. The 380 EZ solves this problem, by putting the .380 round in the same size of pistol as the standard M&P Shield, one of the best and most popular carry guns on the market. Barrel length is 3.675 inches, so you get accuracy and better performance from ammunition. Carrying capacity is 8+1, so you can carry a little more in that regard. The slide is easier to rack, and the pistol will be vastly softer-shooting than other .380 pistols. Easy to carry, very easy to shoot and easy to shoot accurately. Some would argue that makes it the perfect .380 handgun. Let’s face it: the Bersa Thunder .380 is a Walther PP/K clone. It isn’t an exact copy, but it’s so close that we might as well not split hairs. It also happens to be competitively priced. It also happens to be reliable and accurate for a small gun, which is why it remains one of the most popular .380 pistols on the market. The Thunder .380 is the old schooler on this list. It has a metal frame and slide. It uses a double-action firing system, with the Walther controls (slide-mounted decocking safety) that lets you carry on safe or lets you decock the hammer for a double-action first shot. You get 8+1 with an extended magazine, 7+1 with a flush fit. 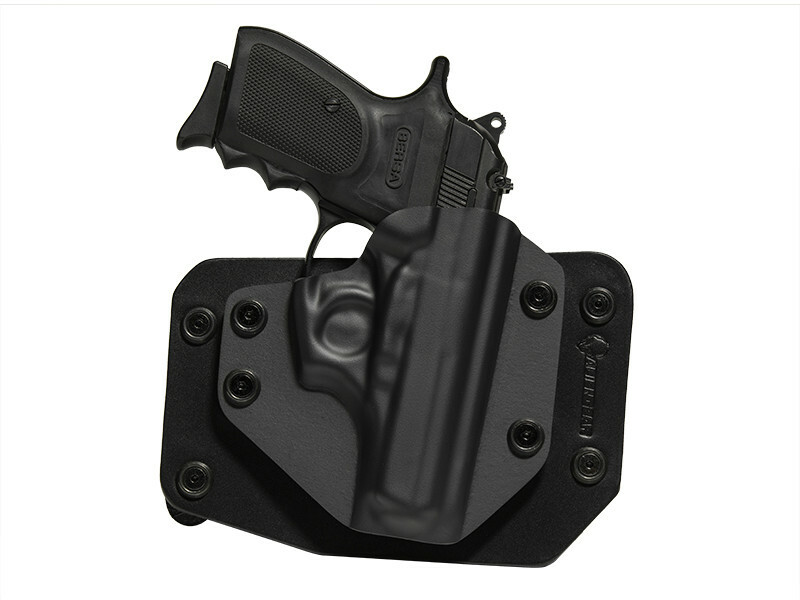 Dimensionally, it fits between micro guns like the Glock 42 and Sig P238 and the 380 Shield EZ. 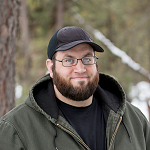 Barrel length is 3.5 inches, and overall dimensions are 6.6″ long by 4.9″ tall by 1.3″ wide. Weight varies by model, but it has a bit of heft given the metal frame, so about 20 ounces. However, the heft tames recoil, which helps with a small gun. The classics are classics for a reason. Check out the Bersa Thunder .380 and you’ll see why. 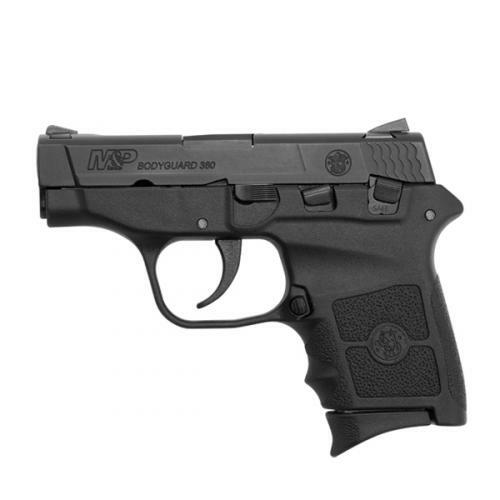 Yes, there’s a second Smith and Wesson on this list in the M&P Bodyguard .380 Crimson Trace. That’s because it happens to be a very good one, and one of the most popular .380 pistols on the market at the moment. The Bodyguard with Laser is a pretty incredible value. You get the slim, compact dimensions of the Bodyguard 380. S&W integrates a Crimson Trace laser into the frame, so no need to fuss with a rail. The Bodyguard is an eminently packable pistol, with small dimensions (5.3″ long by 3.78″ tall by 0.8″ wide) and weighing a scant 12.3 ounces empty, with capacity of 6+1. However, it’s known for being more comfortable to shoot than it should be, so don’t let the tiny footprint put you off. 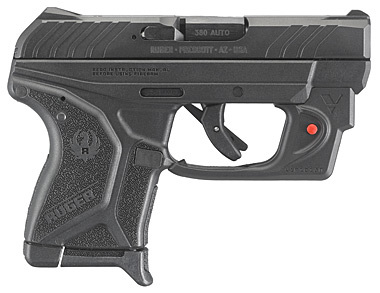 Ruger, formerly known for good working rifles and revolvers so tough that “Ruger handloads” became a real term, branched out into concealed carry guns with a line of .380 pistols that started with the LCP. The improved version (vastly improved, according to many) is the Ruger LCP II. The LCP II is a slim micro pistol with an integrated trigger safety (a la Glock) and a smooth, easy trigger pull. It holds 6+1 of .380, and is eminently carryable with dimensions of 3.71″ tall by 0.75″ wide by 5.17″ long. It weighs just 10.6 ounces, so it’s easy to tote. It is also the definition of user-friendly. Controls consist of a magazine release, slide release…and that’s it. The sights are iron and machined onto the slide so you can’t even change ’em. Simple, small and a price that’s nice ($350 MSRP; most gun stores charge closer to $300 or less) makes this an ideal deep concealment pistol or backup gun for ankle carry if one were so inclined. The .380 ACP round is obviously on the smaller side, and with short barrels in most firearms for this round that means that care must be taken to select the best .380 ammo for a self-defense pistol. This applies to ANY caliber, of course, but is even more vital when carrying a smaller round in a shorter barrel. Barrel length does impact terminal performance, so it becomes critical to select a load that is formulated for use in short-barrel pistols and has a track record of working. When choosing .380 ammunition, select the heaviest loading possible. 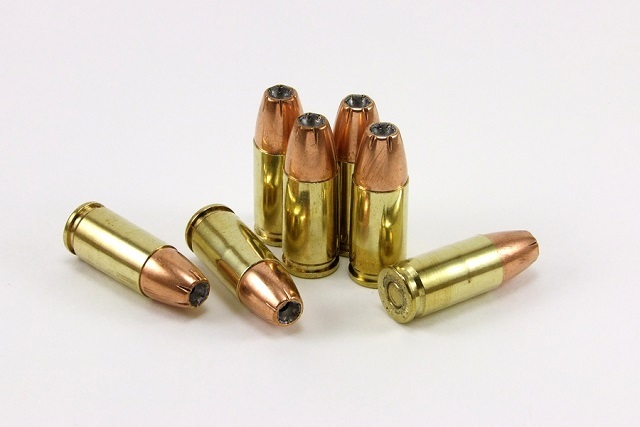 The truth about ammunition performance is that a well-made bullet of any grain weight can be a reliable performer, but a corollary is that heavier grain weights tend to work better in a defensive capacity. Not always, of course, but they tend to, and much more so with smaller calibers. Therefore, you’ll want to select a loading of 90 grains or more. Here are some popular examples. Each is a popular load, available in most gun stores, with a proven hollow point bullet design from a known manufacturer of good carry ammo. Speer Gold Dot 90 Grain JHP: Speer has long been one of the standard protection and law enforcement brands, and are in fact the supplier of the FBI’s current duto ammo. Short-barrel loads in .380 and .38 Special are one of their specialities. Winchester PDX-1 Defender 95 Grain JHP: Winchester’s PDX-1 ammunition is basically their Ranger T series with a new paint job so they can sell it to civilians. The Ranger T series, of course, is the infamous Black Talon without the black coating. A proven bullet design from a proven bullet (and gun) maker. Hornady Critical Defense 90 Grain FTX: Hornady Critical Defense is one of the best-known, most widely-available and highly popular defensive ammunition lines. The 90-grain .380 load is a very good choice of carry round. Winchester Silver Tip 85 Grain JHP: another entry from the classics, the Winchester Silver Tip is a long-serving hollow point design. While it’s aged from a certain perspective, it’s also a classic for a reason and that reason is that it does it’s job. It’s also a little less expensive than some of the other popular carry rounds, so you can get carry rounds without breaking the bank. You’ll want to make sure that you experiment with your carry load, namely shooting a few different brands. Whichever seems to cycle best and group the tightest is the one to carry. You need to put shots where they count if called upon to do so, so make sure that the bullets you carry allow you to do so. Have you shot these firearms? What did you like, and what didn’t you? How Does The Alien Gear Holster Shell Swap Work?